Beware this will be a lengthy blog review of Twisted Metal series. Please take as many breaks needed to help you finish reading this blog. We really don't need another Sweet Tooth going on an rampage. Hi everyone I'm Jack Red, very early on in my YouTube career. I started within seconds of getting a web cam to review most of Twisted Metal series. It is still one of the few times I done a video in a single take without restarting it. I grew up with most of those games, always been a huge fan of them. Twisted Metal for many reasons holds a strong place in my heart. Today I figured to review all of them including Twisted Metal on PS3. I am aware parts of this will be a little confusing. Twisted Metal's humor is rather dark & surprisingly funny at times. Most of them follows a similar concept centering around a destruction derby contest to the death. The grand prize is the winner can have any wish they want. In most Twisted Metal games the host is a mysterious man named Calypso. In many endings really reminds me of Wishmaster series I'm not kidding. The only exception being Twisted Metal 4 where Sweet Tooth took control of the tournament. In most games the world becomes the battle ground bringing destruction & death with it. Calypso's appearance and how he is able to grant wishes constantly changes. This guy is in every sense of the word twisted. Even his own daughter gets to compete a few times in his contest. Calypso usually twisted most wishes to end up killing the victors to collect their souls. Some of these endings especially those in TM2 are absolutely mind blowing. I do need to clarify something, yes I did own all five PS1 games and both PS2 games. I never got to officially play Twisted Metal: Black Online. I briefly got to play the PS3 game on my brother's PS4 a few years ago. Twisted Metal is now starting to become forgotten among many Sony franchises. I remember back in the day people would talk a great deal about Twisted Metal series. A small game company called SingleTrac. Some of them got stuck in traffic. Suddenly someone thought wouldn't it be fun to simply blow it up. This very idea became what eventually becomes Twisted Metal. They went through a few titles before deciding on that. 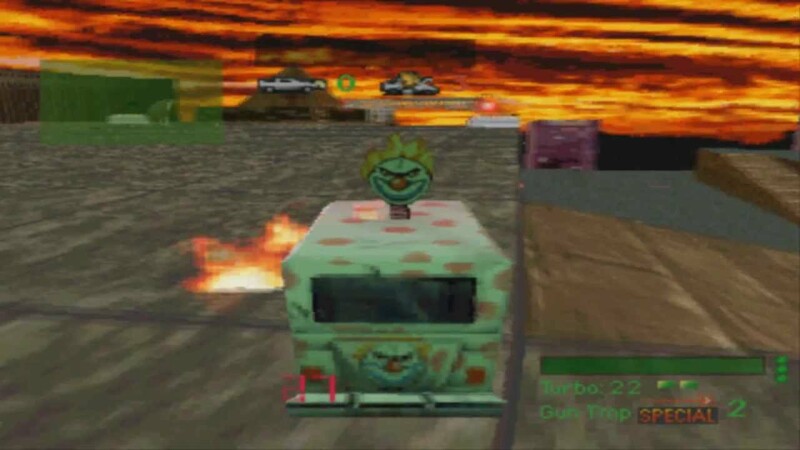 Twisted Metal became a surprise hit among PS1 gamers. There is no hidden characters to play as. Although you can use gameshark to play as Minion whose the final boss. You also get passwords including a few alternate versions of levels in the campaign. For example you could take on more opponents in the first level. There exists a code virtually combining both phrases of the final level where all your opponents including Minion are present. 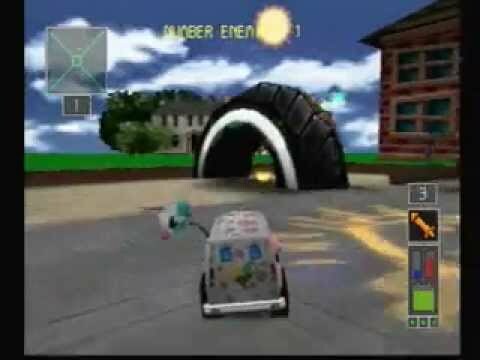 Keep in mind this was an early PS1 game. Despite that Twisted Metal still holds up amazing well among them. You get a killer soundtrack and selection of characters. A great variety of vehicles to play around with. Some parts to levels can be destroyed. You have to use stations to heal up after tanking a lot for damage. Originally they planned on every playable character's endings being done in FMV. Basically they are sorta like their own movies but let's be honest. They're incredibly cheesy with only Outlaw's ending remaining the same. They got removed to quickly get replaced by a little lengthy text based endings. I don't mine hearing the theme song playing during the endings. But a lot of us felt this changed didn't help the game that much. There is a couple of levels you can explore. The main objective is eliminate all of your opponents in every level. Rooftop level used to be a personal favorite for me, my brother and one of my cousins. You also can drive in first person but I prefer the default view more. Most Twisted Metal fans agrees Twisted Metal 2 is hands down the best TM game ever made. Unofficially following it's release, both Twisted Metal III & Twisted Metal 4. All three of them came out on Halloween in 1996, 1998 and 1999 respectively. Sadly also following it's release a few problems occurred forcing a new team to make TM3 & TM4. First off SingleTrac had a disagreement with Sony. Second SingleTrac got bought by GT Interactive. Which over a couple of years got bought by Infogrames that eventually got bought by another. During this period brief the original Twisted Metal team made Critical Depth & Rogue Trip. Twisted Metal 2 had the craziest endings of the entire franchise. I actually enjoy the animation very well with great voice acting. I felt we got a better selection of levels including Rooftop from TM1 and a track from Jet Moto series. Another franchise they were making at the time eventually going to the new team. This time there is two bosses but three boss fights. Minion returns as the first boss as well as a hidden character with Sweet Tooth. The final boss is Dark Tooth driven by Charlie Kane the father of Marcus Kane. Who so happens to be this game's Roadkill. Confirmed in a later entry Needles Kane aka Sweet Tooth is Marcus's alternate personality. Dark Tooth has the biggest vehicle at the time. A twist after defeating him although unexplained Charlie got the clown head flying. Now you have to take that on leaving things to chance at this point. Hell you would be lucky to have enough lifes and weapons to survive. I felt this had a better roster of characters. Twisted Metal 2 not only improves over the original in every possible way. 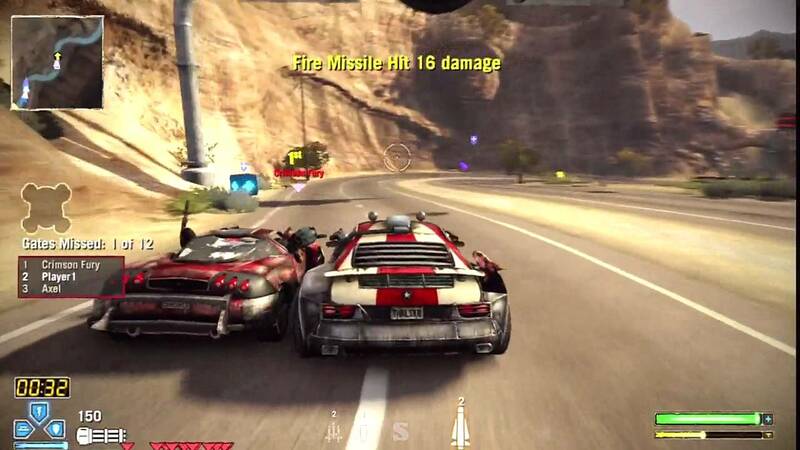 It also pushed the envelope for vehicular combat games in general. Believe it or not, there exists a difficult to find PC port allowing online play. 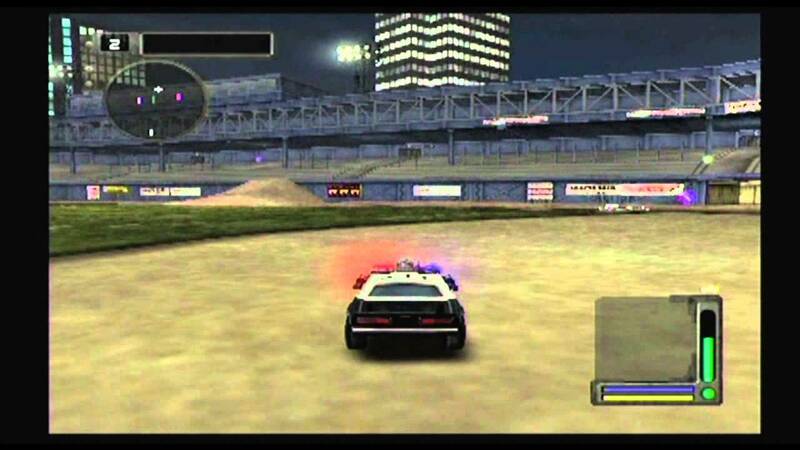 Twisted Metal 2 is often considered to be one of the greatest PS1 games ever made. This game did much more than what anyone could possibly expect. In every sense of the word if you have to play any Twisted Metal game make sure it is this one. Sony handed over the development to a new division called 989 Studios. They loss the source code for TM2 forced to create a entirely new engine. Unfortunately the team didn't exactly understand the previous games. What I mean by this is they chose to make the game a lot lighter. They even heavily tone down Sweet Tooth in a way that's not justify at all. I am not going to hold back I really don't like this game. Yes it may have some good songs including some from Rob Zombie. It sorta feet like they didn't get to properly test the new engine. You can easily fall over your side. The levels are much smaller than they should be. It really doesn't help the actual plot is redoing the same exact thing TM2. Virtually the same plot with the same voice actor that previously done Calypso in TM2. All of the endings are very bad. I can't even name the least bad ending because all of them in their own right doesn't even make any sense. Old characters from previous entries are horribly done in this game. Most newer characters doesn't fit in this universe at all especially you Club Kid get out of here. Once again both Minion & Sweet Tooth are hidden characters. No surprise to anyone Minion is a boss around the same point he was a boss in TM2. Although Darkside from TM1 ends up being the first boss in level 2. The final boss is Primeval whose supposedly a friend of Calypso's. I haven't talked about one of the absolute most annoying problems. In some levels, it seems like even destroying enemies they kept respawning. It turns out there is particular machines mounted on walls you need to destroy. Make sure all of them are gone before going after your opponents. Otherwise you will end up wasting ammo force to go search for any of those machines you missed. This is just a cheap excuse to make the game longer due to the surprisingly small level sizes. Two of the hidden levels are slightly difference belonging to Club Kid. I got to be honest the best part of this game is the intro. Yes I always enjoyed rewatching it but beyond that. There really isn't much reason for me to keep coming back. Everyone was surprised 989 Studios made Twisted Metal 4 a lot better. Some features aren't present in later entries. Such as creating your own character possibly up to thirty of them. Most endings starts out the same but quickly becomes different from each other. 989 Studios still doesn't get how dark humor affects the endings. With the possible exception being Rob Zombie's ending. I honestly can't recommend majority of them. Yes you heard correctly Rob Zombie is a playable character in an Twisted Metal game. Some of these levels are still among my favorites to this day. Some levels have surprises you may not expect among playing. The first level allows you to use a crane with a magnet to pull enemies to drop them over a particular area. Greatly speeding up that level but I really should mention every single level has a boss. One particular level later on has two bosses you have to face at the same time. Easily one of my favorite Twisted Metal soundtracks to date. I do enjoy the intro since I'm a huge Sweet Tooth fan but it wasn't as entertaining as TMIII's. The levels are better done overall. All the bosses are the hidden characters with two possible ways of unlocking. You could beat the game or enter a lot of codes. Also among beating it you get a couple multiplayer levels. Sure they looks similar since they appear something like Tron to a degree. At the same time they do a great job pushing the players as they're going head to head. All default characters has bios and endings. Sadly all boss characters lacks those due to time constraints. Sure I should state the obvious Sweet Tooth looks terrible in this game. At least Sweet Tooth is more faithful to himself. You also can play as Calypso still a rare thing among TM games. Calypso's model appears slightly darker than his TMIII model also sharing the same voice actor. A good number of bosses are super variations of themselves. You have to pay close attention to understand how they improved over them. Twisted Metal 4 did almost as well as Twisted Metal III in sells by roughly half it's amount. For a lot of people 989 Studios Twisted Metal games were their first entries. I am glad TM4 does have some darker things which was completely absent from TMIII entirely. This game still blows me away in how well it holds up. The first entry on PlayStation 2 and the very game among with GTA III to get me into buying the console. Some of the original team members founded a then new company Incognito Entertainment. Some founders of Twisted Metal Alliance forums led to making Twisted Metal: Black possible. It is set in an alternate, darker universe. I got to be honest OMG all of the character's stories plays out almost exactly like horror movies. Most of them has an intro, middle and ending. Hidden characters has smaller stories that ends up working incredibly well. Minion is the only character lacking cut scenes. Instead you have to take your time decoding all of his messages or you could look up someone who already has. You will be surprised some of the things, Minion says during loading screens. I should mention usually Minion driving around in a tank. 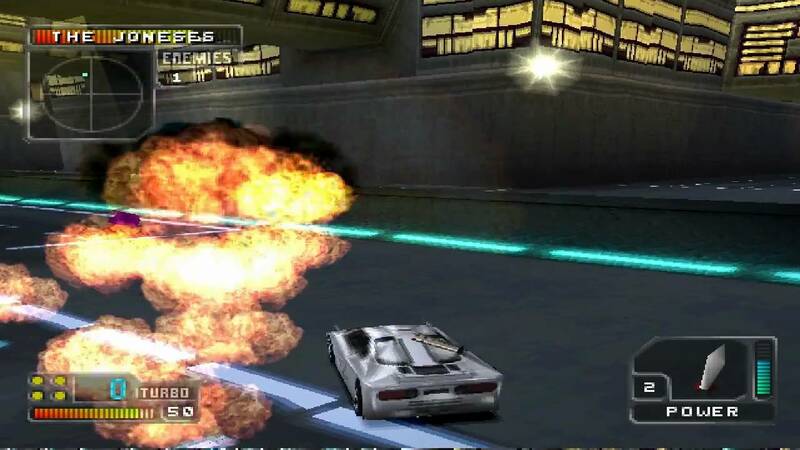 In this game he drives an armored truck that has a flame thrower. Sadly this was Minion's final game for unexplained reasons. They also made it more interesting how to unlock the hidden characters. You have to do particular things in particular levels to unlock them. By beating the game with everyone else you will unlock Minion. I just love the same cut scene of his defeat suddenly plays in reverse fully ready to join the madness. It is confirmed that TM: Black universe being in Sweet Tooth's mind. The main series takes place within Marcus' mind. Every level in their own right works well enough to keep you going. Yes I am not going to lie this is one of the toughest games in the franchise. Both boss characters often has force fields. Warhawk also has tankers that you can use to do big damage to him. He is piloting an attack helicopter. Another rarity among TM games with only gameshack enabling him as a playable characters. I really enjoy everything this game has to offer. Not only this is a long needed return to the formula. It also screams it is Twisted Metal and very proud of it. Twisted Metal: Black sadly almost got a sequel that I will talk about later on. I really love the song they chosen to be the theme song. It not only fits in perfectly but also helps with it's dark presence. There also exists a rare Twisted Metal: Black Online. A couple years ago, Sony officially shut down the servers. More recently, a group of fans brought them back up. This fan base truly can't get enough of Twisted Metal: Black. I also need to say if you beaten the game with Sweet Tooth and saved it to your memory. In War of the Monsters, you can play as Mecha Sweet Tooth. More recently as a pre order deal for the latest entry you also get TM: B on your PlayStation 3. 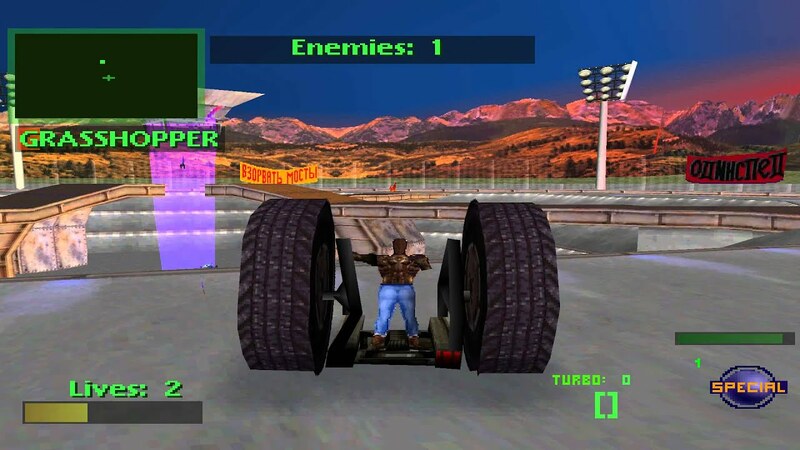 This is honestly one of the greatest Twisted Metal games I ever played. 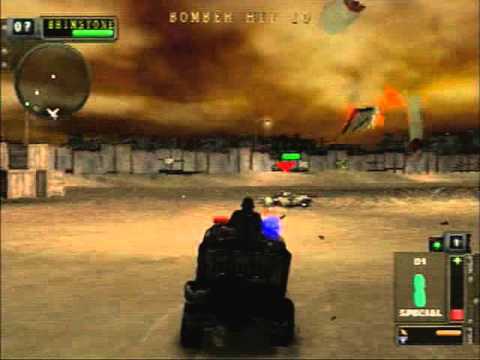 The one Twisted Metal game no body saw coming. 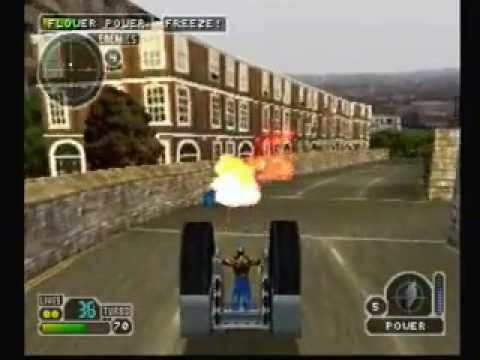 Twisted Metal: Small Brawl was aimed towards a younger audience. It so happens to be the final PS1 game being the fifth Twisted Metal on the console. Instead of regular vehicles facing each other, they decided to have remote vehicle toys. I will say the humor is notably done better than TMII and TM4. Once again, most hidden characters lacks ending. Although Axel's ending eventually leaked out. Twisted Metal: Small Brawl is the first TM game to not have codes. This is surprisingly another difficult game with some interesting cartoony levels. I felt some characters were done well while others simply missed the mark. There is two bosses that you can play as. Another rarity within this franchise but you play as smaller versions of them. But through gameshark you can play as the actual boss versions in the game. Most endings are much better than those of TMIII and TM4. I felt some levels are probably made a little too big or filled with too many hazards. There are some levels you can fall to your death. In one of them if you are lucky your vehicle could get bounced up instead. The game does seem a little strict when you are a little off where you hit. In other words you can also die from that if you aren't careful. I do enjoy some of these levels but the boss levels are not messing around. Piecemeal is virtually another Dark Tooth theme boss fight. This is Calypso's vehicle for the contest. Oh right in this game his name is Billy Calypso really Sony. I really prefer just Calypso for oddly reasons. By the way he is the bully that pissed off the competitors to enter his contest. Instead of wishes, he has something they want with Mr. Grimm's ending bagging the most questions. Tanker is in place of Minion similar to his TM: B boss fight. I felt Sweet Tooth had the best ending out of everyone. I do enjoy the weapons you get to fire but they don't make it easy to unlock hidden characters. As previously stated there is no codes but you can save your process. Trust me you will be restarting your saves a lot. Sadly I missed out on playing Twisted Metal: Head-On on PSP. I later got to play it on PS2 with a very long title. Twisted Metal: Head-On Extreme Twisted Edition, yes it is worthy of the title. Not only they successfully ported an PSP game to PS2. They brought a lot of nice features to sweeten up the deal. The only thing that didn't carry over with the online play. This is in all purpose the true Twisted Metal 3 that everyone been waiting for. Twisted Metal: Head-On's art style not might appeal to everyone. I actually like it a lot but still not as much as TM2's. You get a couple hidden characters including all the bosses. Cousin Eddy a possible reference to National Lapoon character of the same name acts as the first boss. He plays exactly like TM: B Minion with a lot of ATVs helping him. Hard to believe we finally got an RV in an Twisted Metal game. This was the latest entry to have licensed music since TM4. Although some character's designs doesn't match up with their TM2 designs. Most of their endings does in some way continue what previous happened in their TM2 endings. A lot of great levels to keep going for hours. The other two bosses centers around Marcus & Needles Kane working together. You have to defeat Dark Tooth whose very similar to that game's Sweet Tooth. WOW they got even bigger than ever before for the final boss. You face Tower Tooth whose a strange restaurant machine of death. Honestly how can anyone explain it better than that. Tower Tooth is the tallest among all playable characters in the entire franchise. You can only play as him in a particular challenge in another mode. It is possible through gameshark to play as him in the campaign. Now it's time to talk about the extra content. They have an incomplete Sweet Tour mode where you get to explore as Sweet Tooth. Honestly it is an interesting concept but it could've been a little more entertaining. Remember the original TM1 endings? Guess what you can watch them all in this game. You also get a great look back at the franchise from it's developers. The most surprising addition was the canned TM: B sequel. They explained why it got canceled with a rather unique concept for the genre. What they had of it got turned into a short mini game. Dave Jaffe wrote all of these wacky stories for their bios. Of course it doesn't match up with what actually happened to them following TM: B. For some unexplained reason, Sweet Tooth gets two vehicles. His regular one & a gold variation of it being the better out of the two. A new character named 12-Pak was originally going to appear. The big high light of it is the levels are the very best it has to offer. I really enjoyed the carnival level with an passion. It is even better than Sweet Tooth's level in TM4 I'm not kidding. There is no bosses in Twisted Metal: Lost but it came to do what it need to do. Can I say something that may turn some heads? I kinda prefer this port of Head-On over Black. Both campaigns are easier to get into. More interesting boss fights with great extra content. It does plenty to sell you into playing it for hours among hours. Twisted Metal: Head-On itself may not be as good as TM2 but it is still a great game. I was very surprised Sweet Tooth played a bigger role like he did in TM4. Some of the funniest endings within the entire franchise are present here. Such as Mortimer simply wants to go back to his eternal rest. Calypso ends up telling him a bed time story lol. Mr. Grimm's ending surprised me the most. He went from devouring millions if not billions of souls to becoming a human to die right afterwards. Despite the title this is essentially a reboot. They attempted to use live action cut scenes. Thankfully this time they're done way better. The levels are massive in size with huge bosses. Sadly only three main playable characters have their own stories. In turns it affects which final boss you will take on. Surprisingly this is one of the few times there is a canon ending that leads to more. In this particular Sweet Tooth's story would've led to another game. Last I checked it didn't sell well enough to do so. They did a great job revamping some key things while adding new twists. Of course most of the focus was on it's multiplayer. You can drive other character's vehicles in it. The overall tone is very similar to TM: B but not as well done. I do enjoy all three stories but once again TM: B does that even better too. Twisted Metal has a couple of levels. If it means anything no I haven't got to play Vigilante 8 Arcade on Xbox 360. Based on what I heard this out done that game. Twisted Metal does a lot of things right. It does have some amazing sound effects but it could've had a better soundtrack. Hell they don't even need licensed music since the first two TM games did well enough without that. Even Small Brawl had a better soundtrack. This game could've did so much more than it actually did. They did focus a lot for it's multiplayer. Not a lot of people currently it online anymore. Twisted Metal easily could've had a better title to help it stand out more. I am really not trying to say it was a missed opportunity although in a way it sorta is. This game simply focused on the wrong things. Honestly I was happy based on what I seen of it for years. A few years ago I got to briefly play it on my brother's PS4 for a few hours. Man I was having a great time but I also felt the levels should've been more interesting. Head-On had some nice surprises hidden in their levels. You have to search levels to unlock characters in Black. There is no codes at all in this game. I felt the difficulty for the most part was more forgiving than some previous entries. Twisted Metal could've been a new, fresh take on the genre. Yes it's true those style games doesn't usually sell well. At the same time they are easy to pick up & play. In a way they're virtually vehicle based fighting games with a metal direction soundtracks. This game could've been one of the absolute best ever made. Sadly it sorta falls in between several TM games.